Seasalt's Between Tides Jumper is a spring/summer version of their popular Gulf Jumper. Inspired by styles from the 50s, this flattering fine knit is made from a lightweight yarn with a subtly textured stitch. Seasalt's Between Tides Jumper is a spring/summer version of their popular Gulf Jumper. Inspired by styles from the 50s, this flattering fine knit is made from a lightweight yarn with a subtly textured stitch. 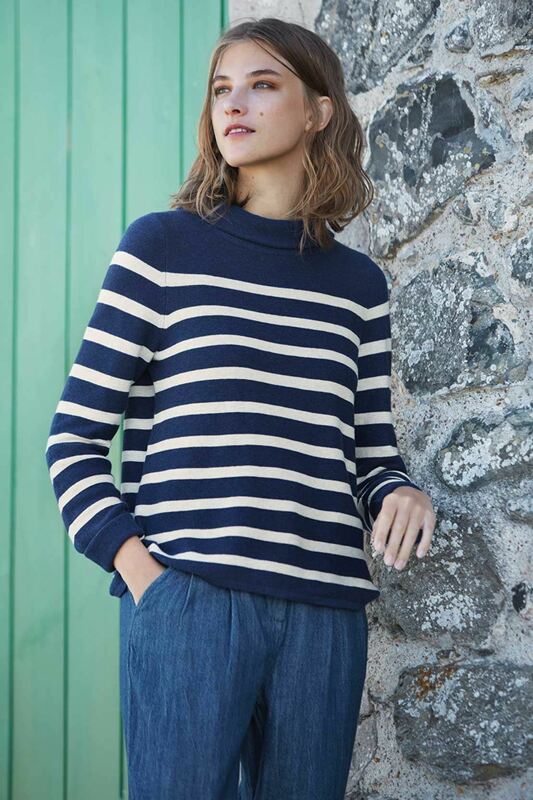 It has engineered nautical stripes, long sleeves and an elegant Hepburn neckline. A slightly shorter style, it looks equally good with skirts as it does trousers.